Howard County councilman Jon Weinstein's presentation to county council regarding the recently announced 5-year Ellicott City Flood Mitigation Plan included a brief history lesson on combination of factors that have made Main Street so susceptible to flooding. WASHINGTON — As residents, business people and visitors to historic Ellicott City contemplate Howard County’s aggressive plan to remove nearly 20 buildings to lessen flood risk, some wonder how the popular destination will cope with change. The answer is: Change has been underway for years. Howard County councilman Jon Weinstein’s presentation to the county council regarding the recently announced 5-year Ellicott City Flood Mitigation Plan included a brief history lesson on a combination of factors that have made Main Street so susceptible to flooding. The downtown historic district is located in the valley of the upper Western Branch of the Patapsco River, with four tributaries flowing downhill toward the river. Tiber Branch, Hudson Branch, Autumn Hill Branch, and New Cut Branch all converge to enter the Patapsco River on lower Main Street. When it was built, the main flood risk was the possibility of the Patapsco rising above its banks. However, in recent years, flash floods have overwhelmed the tributaries, causing torrential floodwaters speeding down hilly Main Street. Yet, it wasn’t an accident. “It was a purposeful design, executed by the Ellicott (family) when they came to this town to start it, and to start a mill town,” said Weinstein. Both the devastating 2016 and 2018 floods were based on flash flooding. “Just in the last seven years, we’ve had these ‘top down’ floods increase in intensity,” Weinstein told his fellow council members. The problem is compounded because the tributaries snake near, between, and, in some cases, under historic buildings. “If you walk through town you see channels literally making right turns, or 90-degree-turns, as well as going through very narrow pipes,” said Weinstein. Aluminum culverts were overwhelmed in several locations during the May 27, 2018, flooding with trees, rocks, and cars becoming lodged and forcing more water to blast onto Main Street. The county’s plan revolves around removing buildings on the lowest section of Main Street and building a wider, deeper channel to carry rainwater more effectively. 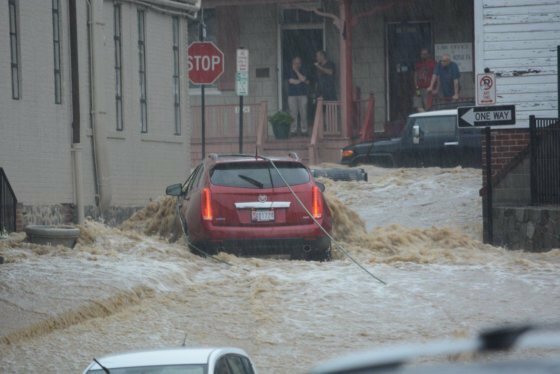 In announcing the plan, Weinstein and County Executive Allen Kittleman said that Ellicott City didn’t want one more person to die because of flooding. Eddison Hermond, a National Guardsman from Severn, was washed away and killed in the 2018 flood while trying to help a woman. National Weather Service Meteorologist James Lee said the combination of factors in Ellicott City, due to its unique hydrography and the structures built around it makes it potentially deadly. 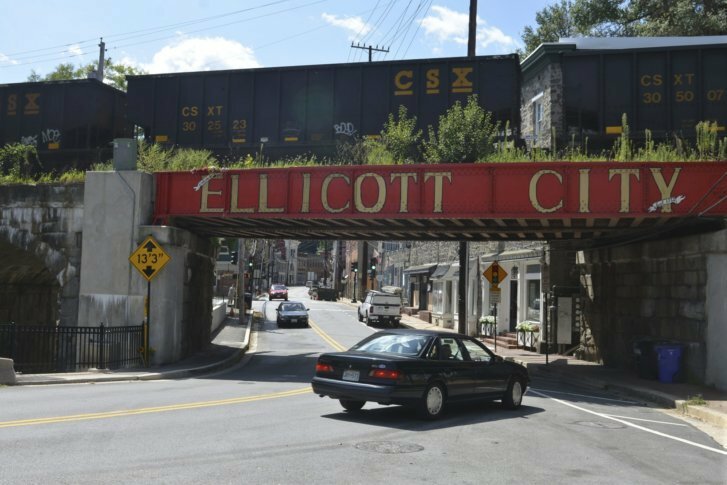 “The old town portion of Ellicott City is the location most at risk for life-threatening weather hazards in our entire forecast area,” Lee said. Lee is Meteorologist in Charge at the NWS’ Sterling facility, which serves 44 counties in Maryland, Northern Virginia and the eastern West Virginia panhandle, plus the District of Columbia and the city of Baltimore. The current Ellicott City mitigation plan is expected to take five years to complete, at a cost of $40 to $50 million, using a combination of federal, state and local money.